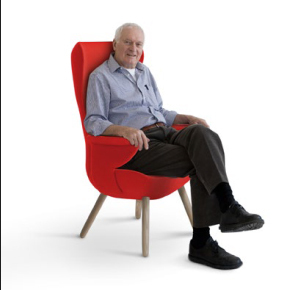 Kenneth Grange CBE is among Britain’s most distinguished and successful industrial designers. The list of the products he has designed embraces some of the most familiar and ubiquitous forms in contemporary culture. The Kenwood Chef, the Inter City 125 high speed train, the Kodak Instamatic, the Parker 25 pen and the new London black taxi have become instantly recognisable symbols. Grange was a founding partner of the multi-disciplinary design practice Pentagram and teaches at London’s Royal College of Art. His recent designs have revitalised traditional British companies including Bowers & Wilkins, Anglepoise, applying his particular design and engineering rigour to contemporary products. As izé’s first Director of Design when the company launched, Grange designed our inaugural handles, a range of four levers and associated products which are held in the Victoria and Albert Museum’s permanent collection.